Lifescape has added yet another accolade to their growing list of awards and praise with their work on the “Mountain Modern” project. 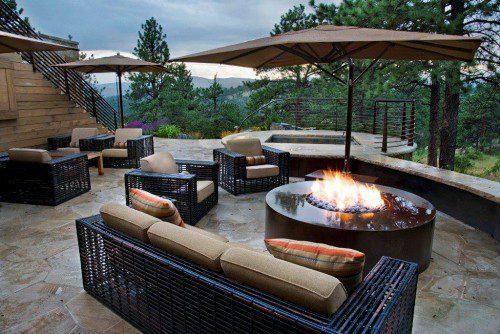 The home, an 11,500 square foot retreat in Evergreen, Colo. owned by Kirk and Grace Eberl, was named as the 2015 Home of the Year by Colorado Homes & Lifestyles magazine. 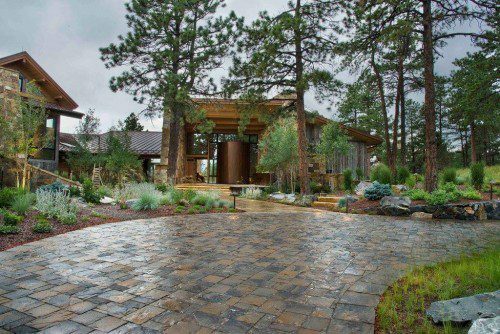 Before Lifescape was contacted to help with integrating the landscape into the homeowner’s vision of the house, much of the hardscape was completed by the homeowner and architect, David Barrett. Lifescape helped make that come true. When Lifescape came onto the project, they helped blend together the architecture of the house with the rest of the landscape. 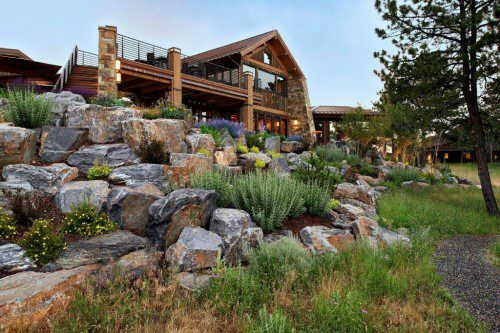 What the blending of the two visions created was a softened ruggedness of the hardscape that transitioned seamlessly back into the natural surrounds of the 160-acre property. Senior Designer LeAnn Ostheimer, who took the lead on the project for Lifescape, was the tip of the spear when it came to selecting the foliage and landscaping material, as well as designing the pathways, garden patios, landscape lighting, driveway, and boulder outcroppings. Her work with blending the native meadow adjacent to the house with nature was instrumental in bringing the homeowner’s vision to life. For more information on the project, or to find out how Lifescape can your dream home vision come to life, contact Lifescape today.